Infrastructure names could be winners and pharmaceutical stocks losers in President Donald Trump‘s State of the Union speech Tuesday night if he goes after two areas where Wall Street strategists expect there might be some bipartisan support. Hogan said in addition to big pharma, providers and insurers like CVS Health and UnitedHealth could be affected by an effort to rein in pricing. Strategas has created an index from infrastructure names, like Fluor, Jacobs Engineering, Granite Construction, Griffon, Dycom and Vulcan Materials. It has picked up slightly recently but has mostly traded lower after surging on Trump’s election. Trump speaks to the nation at 9 p.m. ET. “He’ll be supporting a very vigorous defense budget. It looks like he will not give the Pentagon a haircut. He’ll give everyone else a haircut,” Valliere said. Defense stocks have already benefited from Trump with the ishares U.S. Aerospace and Defense ETF, up 12.5 percent in January, its best month since April 2009. 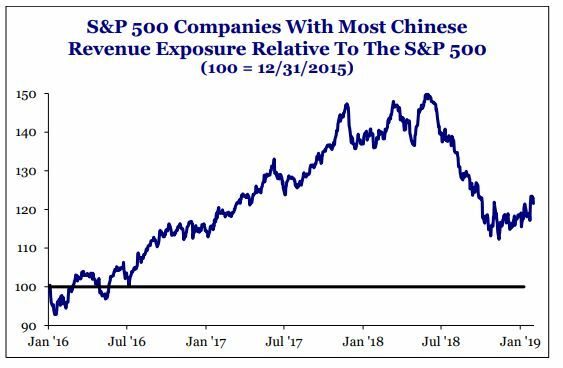 If Trump talks up potential trade peace with China, John Davi, chief investment officer at Astoria Portfolio Advisors, says investors may want to look iShares MSCI China ETF MCHI. While not nearly as large as the iShares Chinese large-cap FXI, the ETF gives investors exposure to Alibaba, Tencent and Baidu.